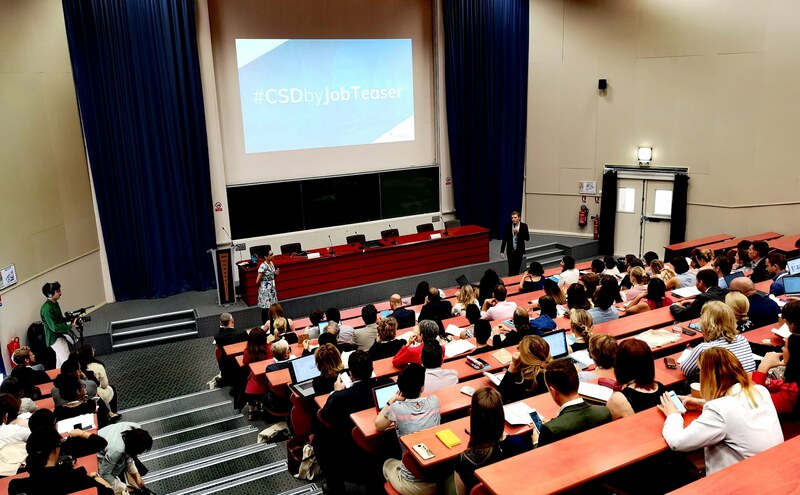 On June 21, we invited career services representatives from all over Europe to our very first Career Services Day at the Sorbonne University in Paris. Our goal was to present the 130 representatives in the room with insights on the new generation, the changes in the world of work, and how higher education institutions can help students grow. “Our mission is to prepare the new generation to reach their full potential, embrace the future with optimism and make their mark in the world”, said Célia Galas, the Chief Marketing Officer at JobTeaser, to launch this whole day full of keynotes, workshops and networking. Let’s go through some key learnings from that day. Employers need a mix of skill, knowledge and abilities from students. Nowadays, they don’t just need technical experts: they need people to make a difference on a personal level. 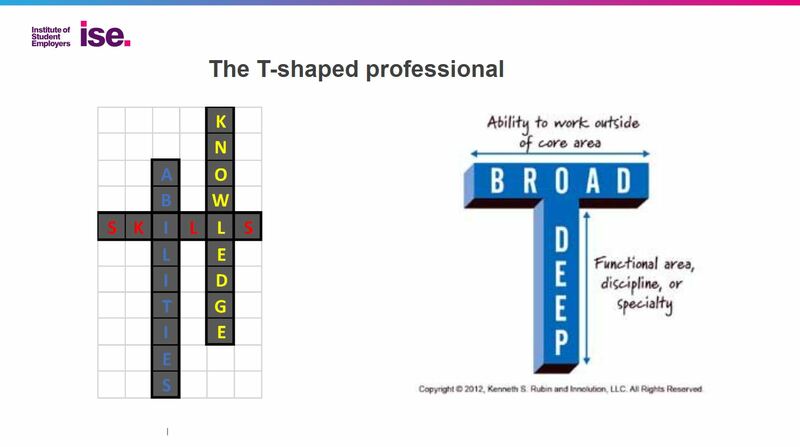 They are looking for T-shaped professionals, that know a broad range of interpersonal skills and have a deep understanding of their speciality. Employers can hire someone who has every skill at hand already or hire someone with potential and spend money to train them. You will soon be able to download Stephen Isherwood’s presentation on our blog. The mindset is key for hiring, more than actual skills: to work in an international environment, according to the ISE, the language is not as important as being able to interact with varied cultures. Resilience and self-awareness, for example, are key itorecruiting young talent. This learning is shared by our McKinsey keynote speakers, who confirmed that needs from companies will change drastically before the year 2030: physical and basic cognitive skills will be replaced with technological skills, as well as social and emotional skills. What’s even more important than any other kind of skill is the ability to keep learning and challenge assumptions. Of course, that means that career services departments, and higher education institutions as a whole, need to adapt. McKinsey speaker Hortense de la Boutetière suggests that institutions might change their business model and offer free training to graduates some 15 years after they leave school, as part of this continuous learning trend. She also mentions that part of the financial burden should be covered by companies for their employee training. Students have access to much more information than they used to. They won’t just go near their home but will make a motivated decision and act like consumers, expecting quality teaching and real result. Their quest for employability is starting to become the gist of their decision-making instead of an extra. They are looking for perfection, Stephen Isherwood adds, while the world of work implies being able to accept compromise and constant adaptation. This is not the only change that our society has recently gone through. 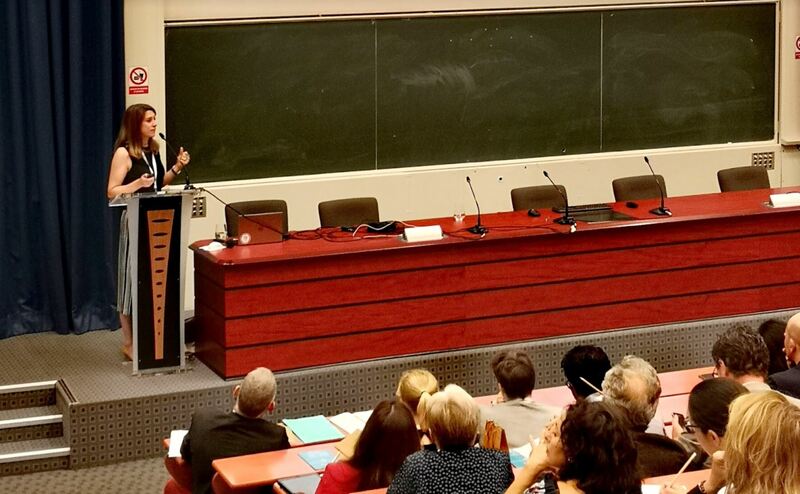 Rémy Oudghiri, a sociologist at SocioVision, gave a talk on the changing values of Generation Z, young people born after 1995. Generation Z isn’t fascinated by technology, as they have grown up while using it. It’s so natural to them that they may lose track of some long-term impacts of technology, even though it may be explained by just how young they are. For example, the fact that they always communicate online with a broad range of people has been proved to have a negative impact on their ability for empathy. This clashes heavily with the new skills that companies need: you can seize the opportunity to help students build better interpersonal skills. This is what the University of York tries to solve with a one-day assessment as part of the York Strengths Programme. This assessment, organised by the Career Services department, ends with the identification of two personal strengths of every student out of a list of nine strengths.
" We wanted to give students better self-awareness so they can capitalise on their strengths in class and in their career choices." They are then used during the whole duration of the degree in varying ways. We’ve had the opportunity of talking about this programme in detail with Hannah Smith, the Head of Operations at York University, and will publish a detailed case study in the upcoming months: stay tuned! In the afternoon, workshops were held to talk about the future of career services and how to scale communication and counselling to boost student engagement. Some of the workshops included case studies from a few European universities, which you will soon be able to read on the blog. Others focused more on a conversation between representatives, while yet another took the form of a presentation by different stakeholders in EdTech. The Career Services Day ended with a cocktail during which everyone could share their own experience and opinion on the workshops with their peers. Some of them chose to enjoy the traditional Fête de la Musique in the Parisian streets in the evening. For more news about our events, subscribe to our newsletter by filling in your email address at the bottom of the page!